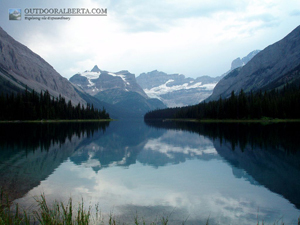 Marvel Lake is located in Banff National Park near Wonder and Marvel Passes. 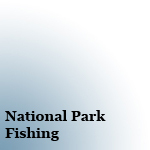 A backcountry campground is also near its shore where most people fish. This lake is very long so accessing shoreline can be difficult at times as the trail does not follow the shore. The water is clear and sight fishing is possible. Marvel Lake has some big Cutthroat in it! I have fished here a couple times and I was able to catch many fish like the one above in the 18 to 21" range using a large spoon. I did however catch fish as small as 9". Fishing action varied depending on the time of day and the spot I chose. 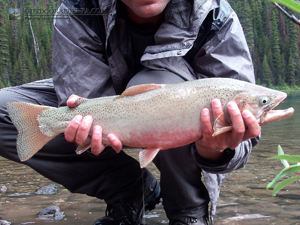 Based on the size of the fish and the aggressiveness I would say this is one of the better large backcountry lakes to fish.